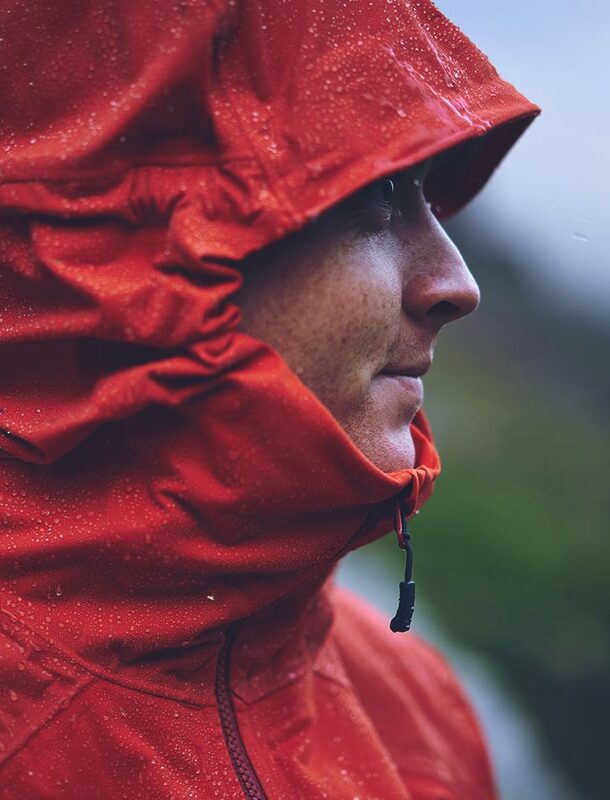 Perfectly combining the soft, flexible nature of a softshell with the protection and durability of a hardshell, the Women's Kinetic Alpine is made from Rab’s own Proflex™. Contouring to your body shape it wicks away any sweat generated on steep ground, making it’s easy to forget you are wearing a waterproof until the showers roll in. A breakthrough in technology, the Women’s Kinetic Alpine Jacket will change the way you dress for the mountains. 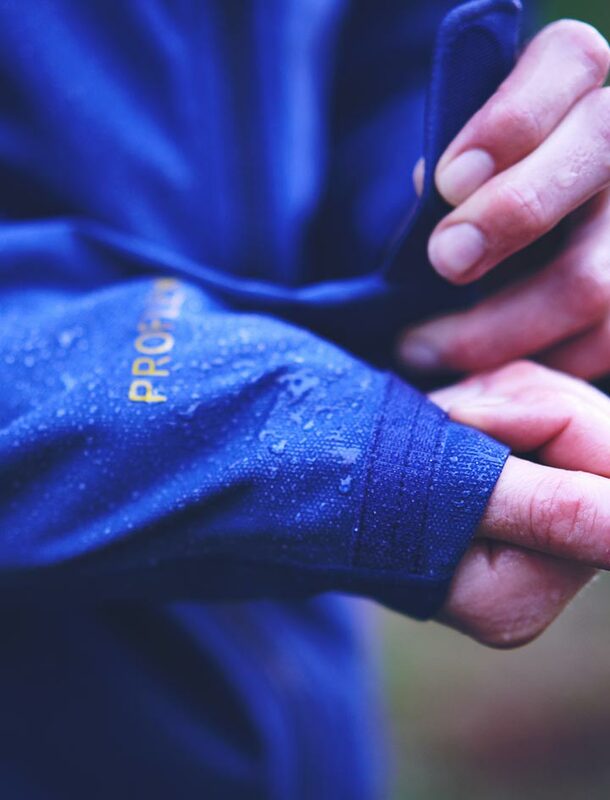 This fully waterproof, highly breathable and stretchy jacket is a radical re-approach to protective yet comfortable clothing systems. 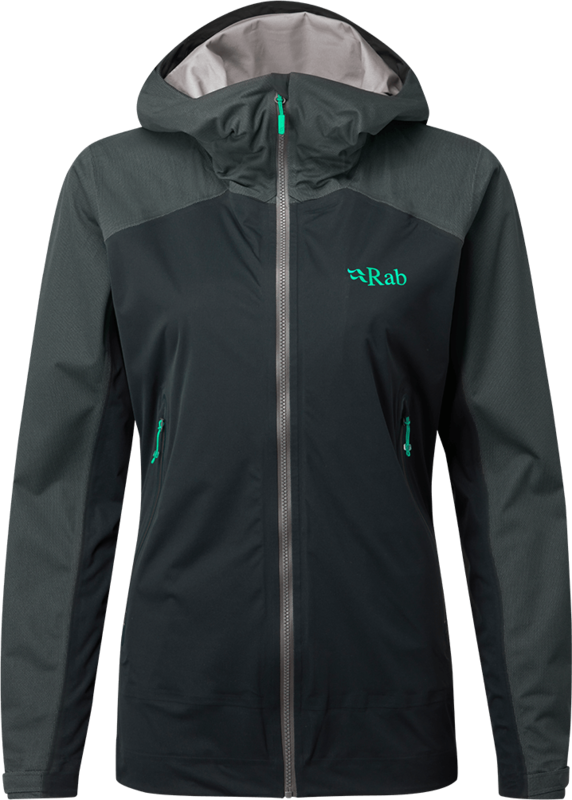 Perfectly combining the soft, flexible nature of a softshell with the protection and durability of a hardshell, the Women’s Kinetic Alpine is made from Rab’s own Proflex™. 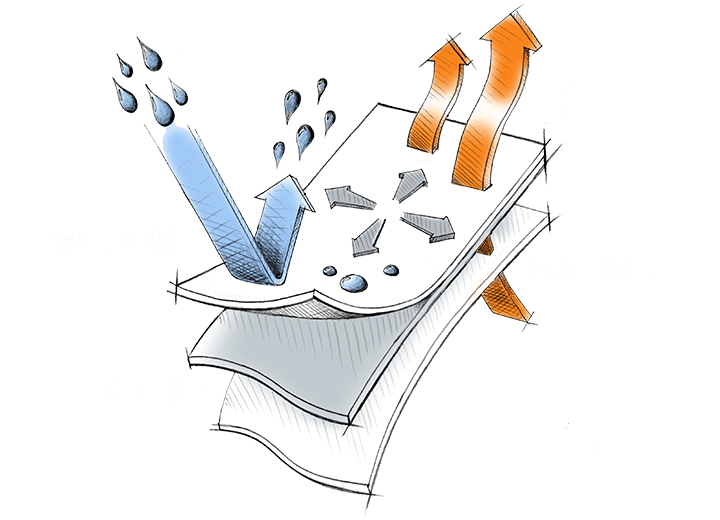 Contouring to your body shape it wicks away any sweat generated on steep ground, making it’s easy to forget you are wearing a waterproof until the showers roll in. Honed for the alpinist, particular attention has been paid to the features, ensuring it has everything needed for long days in the mountains. Reinforced ceramic print overlays in high wear areas removes the need for bulky patches, increasing durability without hindering stretch. 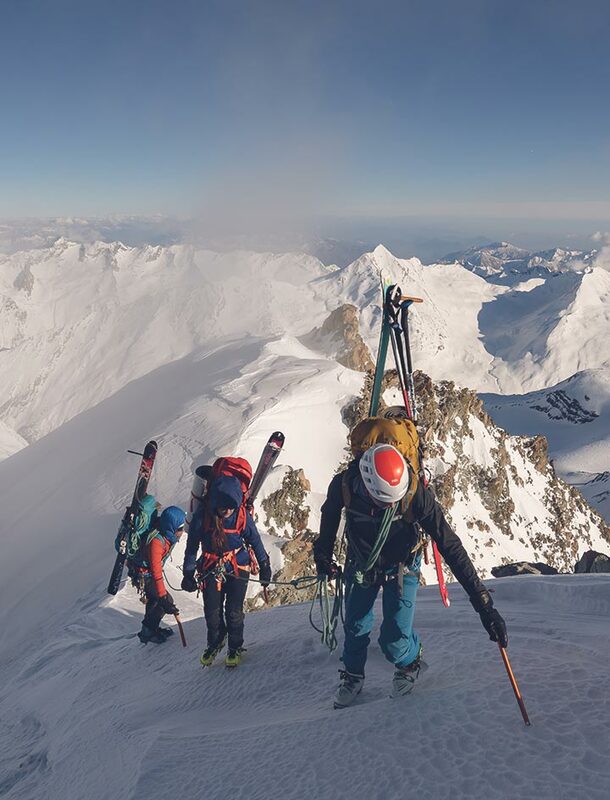 While a helmet-compatible hood, YKK AquaGuard zips, fully taped seams, adjustable cuffs and hem ensure high functionality for the mountains. Light and highly packable, a small stuff sack aids easy storage in a pack or clipped to harness.